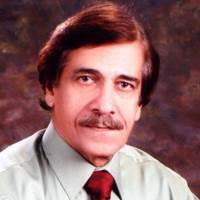 Abbas Rizvi is a poet, critic, and writer from Pakistan. His first collection of poetry named, Khwabon Say Tarashay Huay Din, was awarded the Best Urdu Poetry book for the year by the Academy of Letters Govt. of Pakistan. He was also felicitated with the Allama Iqbal award. His other two famous publications include; Naqd-e-Emroz, targeting the works of leading Urdu writers and Ankhain aur Tasweerain, which is a collection of short stories.